Rabbits are just about the cutest creatures around. Our collection of Bunny poems pay tribute to these adorable, furry little animals we all love to pet. 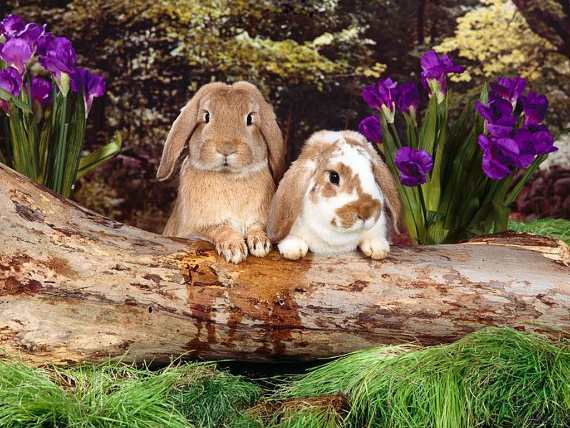 Bunnies bring good cheer at Easter. Cartoon characters like Bugs make us laugh. The White Rabbit in Lewis Carroll’s Alice in Wonderland has been a beloved children’s character for nearly 150 years. This is no fad, these furry little rascals are here to stay! You’ll enjoy our poems dedicated to these precious little things. And your big brown eyes. Hopping from spot to spot. Munching on carrots and radishes. I watch your nose twitch. Who needs to be loved. Leaving my garden in a heap. Oh, how that bunny makes me weep! But I’d like for you to sleep. Where I can rest tonight. My fur is so fluffy like no other. Tail so bushy; nose so pink. Whiskers so long, they make me unique. Who am I, What can I be? Are you a poet or aspiring poet. Our editors are always looking for new poems to add to our collection. Submit your animal verses to our editors by clicking the "contact us" link at the bottom of this page.